So I guess I’m kinda a fantasy fan. And it’s all to do with Double M and Ms Whalen Turner. My pages full of only sad faces and exclamation points. Immersed… but I must admit I failed. 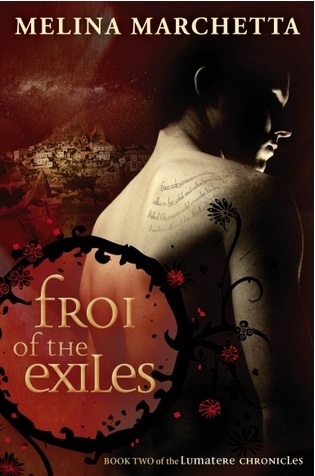 That Froi of the Exiles had been accidentally inhaled. I’m probably not going to really have anything to say. Please read the other reviews with more valuable things to add. I can’t help but feel impossibly sad. Who counts in his head to prevent his feelings breaking through. With his strength, his passion and his fierce protection. And umm, I guess his shoulders are nice to look at…. Who truly has the ability to “rip the breath from us all”. With her squinting and her wonky teeth. “The girl who could make rabbits appear on walls”. But this isn’t just a story about these tragic kids. Broken spirits to be mended. About understanding and of joy. But I like what I like and I know what I want…s. Willing that the date for Q of C will get nearer. To make us wait another year….er? And me to ask you about the release date of your Jimmy book. And me to ask you intelligent questions about this glorious book. Bat’s Mouth by Bat For Lashes. Also, I can’t believe Double M based some of her research on Conwy Castle! Conwy is one of my favourite places in the world…if you ignore the dive-bombing seagulls, which is difficult when they’re trying to nab your chips. 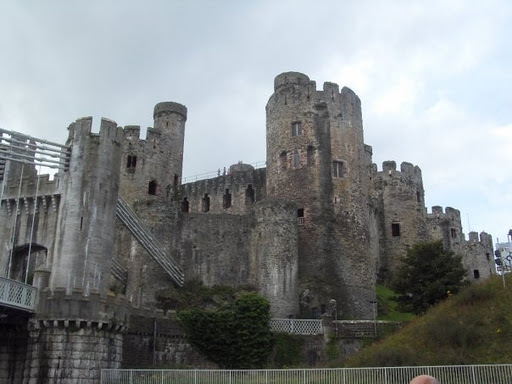 I wonder whether she visited Conwy at the same time as I did. I was the one making my friend stand in the middle of the road so they could get a good picture of me standing with the plastic knight…. « In Darkness – Nick Lake.